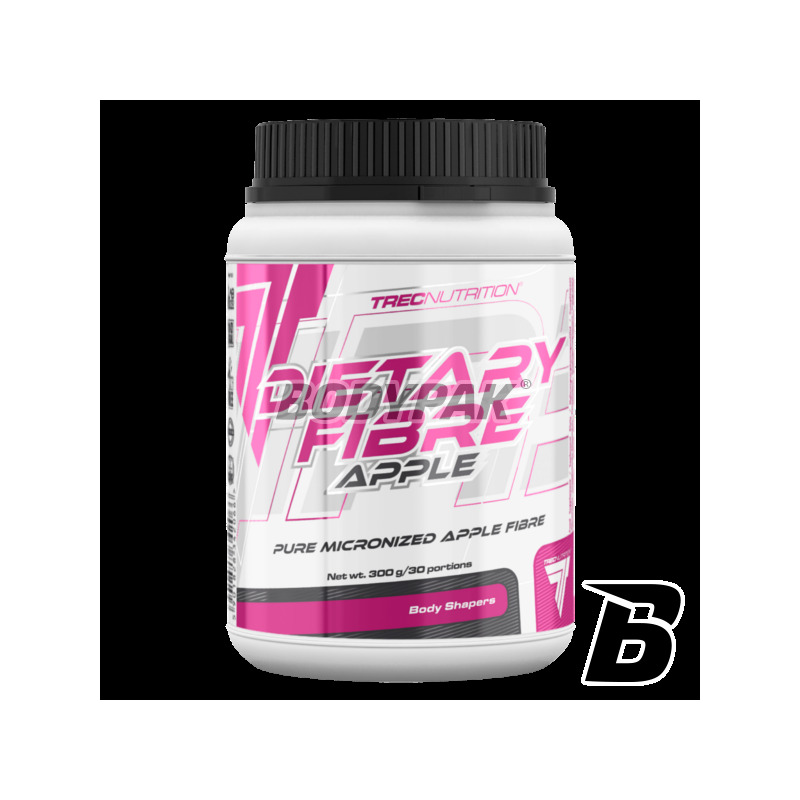 If you been problems with constipation and diarrhea - probable cause is too little fiber in the diet but that's not a problem, just reach for the TREC DIETARY FIBRE APPLE! 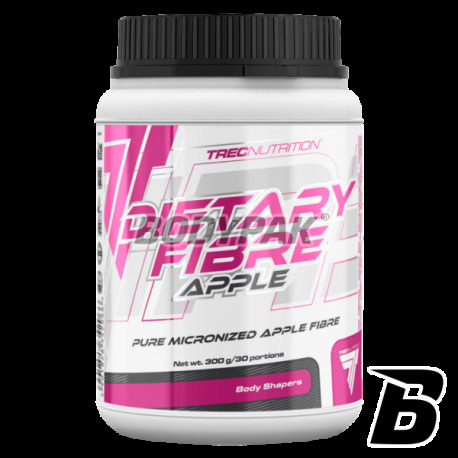 TREC DIETARY FIBRE APPLE is obtained in a multistage process of purification and micronization natural apple fiber. Preparation supports proper operation of the entire gastrointestinal tract and facilitate weight loss. Special production technology allows to obtain high quality pure fiber, which particles have a very large active surface. TREC DIETARY FIBRE APPLE swelling in the gastrointestinal tract reduces hunger, reduces the absorption of calories from food, and improves peristalsis, preventing constipation. FIBRE also called fiber tract (with j. English: "Dietary Fibre"), belongs to this part of the food of plant origin, which although is not digested by the human digestive system plays a very important role in the smooth functioning of our body. The most important properties of fiber, among other things: reduction of body fat, cleansing the body of toxins and heavy metals as well as the reconstruction of the bacterial flora of the digestive system. Our Fiber Apple is a product obtained from selected parts of pomace skins of apples. TREC DIETARY FIBRE APPLE - TAKE CARE BASICS! Serving of the product - 10 g (1 tablespoon) dissolved in 300 ml of water or juice. Depending on your needs, take 1-2 servings a day for 30 minutes. before meals. Wspomaga moja gospodarkę jelitową. Zero problemów żołądkowych. Polecam 5/5. jeśli pić, to najlepiej smakuje z sokiem jabłkowym (a w sokucukier) - z wodą w ogóle mi nie smakuje. Oprócz, że przyśpiesza trochę pracę jelit, to tak naprawę nie warto kupować. Dobry smak, dzięki temu z łatwością można wpić. Zauważalna różnica w układzie pokarmowym. Pomaga uzupełnić błonnik w diecie. Wspiera prace układu pokarmowego z czym zawsze miałam problem, a w smaku jest genialny!